Scenes of everyday life, archaeological digging and communal sports and recreation at Gebel (or Jebel) Moya, an archaeological site in the Sudan, excavated by Sir Henry Wellcome between 1911 and 1914 as a public works project. Includes scenes of Sir Henry bicycling surrounded by Sudanese children, inspecting the excavations and consulting with archaeologists and officials. 2 segments. Publisher: [S.l.] : Oxford U.P. for the trustees of the late Sir Henry Wellcome, 1949. Series: The Wellcome excavations in the Sudan. As of April 1, 2010, the Bibliography of the History of Art (BHA) will be available free of charge on the Getty Web site at http://library.getty.edu/bha. Free Web access to BHA is an advantage not only to all traditional users of the database but also to such potential users as institutions in developing countries and independent scholars worldwide, who until now have been unable to afford access to the BHA. Since ending its collaboration with the Institut de l'Information Scientifique et Technique (INIST)–CNRS in December 2007, the Getty has been searching for partners to continue the production and distribution of BHA. This process has been complicated, and with no suitable arrangement immediately available, the Getty decided to act on its commitment to the scholarly community by providing access to BHA directly from its own Web site. BHA on the Getty Web site offers both basic and advanced search modules, and can be searched easily by subject, artist, author, article or journal title, and other elements. To search BHA, please visit, http://library.getty.edu/bha. Note that the database search includes both BHA (covering 1990-2007) and the International Bibliography of Art (IBA), covering the years 2008 and part of 2009. The Répertoire de la litterature de l'art (RILA), one of the predecessors of BHA, with records that cover 1975–1989, will be online by May 1. 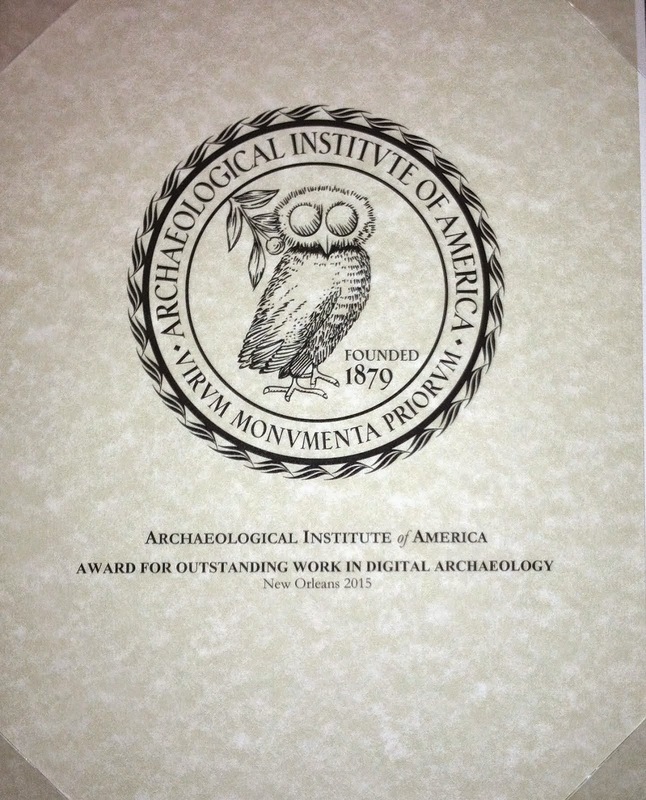 The Archaeological Institute of America has launched its new Website. When the Archaeological Institute of America (AIA) was established in 1879, the telephone was in its infancy and the radio was still a decade or more away. Inventors such as Bell, Tesla, and Marconi revolutionized how we communicated in the late 19th century, but even greater steps were made in the late 1930s, with the advent of television, and 1940s, with digital computers. During this time, the AIA reached out to the public through lectures and, beginning in 1948, with ARCHAEOLOGY magazine. But even then, the power of “new” media was apparent, for example in the popularity of the 1950s television series “What in the World?” featuring artifacts, curators, and celebrities. Now when we talk of “new” media, however, we generally mean Web-based stories, audio files, video, and the like. The Web itself arose in the mid-1990s, soon after which both ARCHAEOLOGY and the AIA had established sites. Today, we are taking another step in bringing the ancient world to the public, and to professional AIA Members, as we re-launch the AIA website. Our staff in Boston has spent many hours on this project, guided by Eti Bonn-Muller, the AIA’s Manager of Online Communications (and ARCHAEOLOGY’s Online Senior Editor) and Web Designer Amélie Walker of Castle Builder Design. We hope you will find the site more user-friendly than before and even more informative about AIA’s mission, programs, and Membership benefits. Please take some time to explore our new site—and let us know what you think: leave comments and suggestions below. The African Journal Archive is a retrospective digitisation project of full-text journal articles published in Africa, in the Sciences, Social Sciences and Humanities, providing access to a multi-disciplinary, multi-country digital archive of Africa’s research and cultural heritage contained in its journal literature. The African Journal Archive is a project of Sabinet Gateway, a non-profit organisation promoting and supporting library and information services in Africa. The project is funded by the Carnegie Corporation of New York. See Press Release of 8th June 2008. The Natal Museum was established in 1904 by the Government of Natal, and since 1910 has been one of the National Museums of South Africa. Research is undertaken in the fields of Arachnology, Archaeology, Entomology, Ethno-archaeology, Malacology and Mammology. The Annals of the Natal Museum has been published annually since 1906 and comprises the results of researchh done by staff members, associates and correspondents. The Journal for Semitics is published by the Southern African Society for Near Eastern Studies (SASNES). The journal is published twice annually (first issue in 1989). The Journal for Semitics is an accredited journal of the Department of Education. The aims of SASNES are to promote the study of and research on the Near East (including North Africa) in the spheres of language, literature, culture, religion, history and archaeology. Old Testament Essays (New Series) is the academic journal of the Old Testament Society of Southern Africa (OTSSA) published since 1987. Its precursors were the individual proceedings that the OTSSA published after its meetings from 1959-1986 and the journal Old Testament Essays that was published by the Department of Old Testament at Unisa from 1983-1987. The ceramic vessel evidence presented here is only a selection (n=54) of diagnostic forms from the 2000 excavation season. 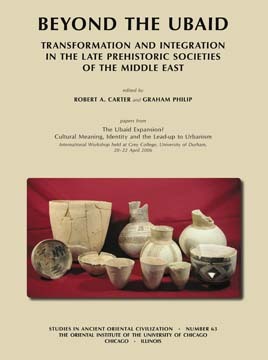 These vessels were studied in Porters dissertation (2007). Information reported here is the object catalog number, form, building number, provenance information, diameter, fabric colors and treatment information, when necessary. Additional diagnostic vessels will be added when their analysis is complete. The faunal evidence presented here includes descriptions for all excavated identifiable bones. The evidence from the 1998 and 2000 excavation seasons were analyzed at the Smithsonian Institutions National Museum of Natural History Archaeobiology Laboratory, while the 2004 season was analyzed at the Department of Old Testament and Biblical Archaeology, University of Mainz, Germany. Somewhat different variables were recorded from the 2004 data and therefore, these divergent variables are presented. We have a new Firefox add-on that allows you to search the Wayback Machine from your browser. You can get it at: https://addons.mozilla.org/en-US/firefox/addon/162148/. For those who have yet to travel back in time, the Internet Archive Wayback Machine allows you to browse through over 150 billion web pages archived from 1996 to a few months ago. So install the Wayback Machine Firefox add-on and take a trip. The Journal of Arabic and Islamic Studies is a refereed, academic journal covering in principle all aspects of Arabic and Islamic studies. The Journal is published on the Internet by the editors and cooperating institutions and on paper by Edinburgh University Press. Contributions for articles are welcomed in English, French, German, Italian, and Spanish. Please refer to the Style Sheet regarding formatting and the programs in which manuscripts may be submitted. All material should be sent in the first instance as an e-mail attachment to the Editor, Alex Metcalfe. AnaBiDeut is the abbreviation for Analytical Bibliography of Deuteronomy. AnaBiDeut is an analytical internet bibliography of the book of Deuteronomy, designed for quick searches and title downloads. Why do we need a new type of bibliography? If you want to do research on a biblical text or biblical book, you cannot begin from scratch. While it is essential to start from the texts themselves, it is also indispensable to consult the work already done by others. A brief look at the existing literature will show you in what ways the text has already been treated and so both save valuable time and, perhaps, provide some inspiration for your own work. The body of scholarly literature, however, has grown immense in recent years. It is tedious and time-consuming to find, sort, and evaluate the sources you need. In terms of its bibliographical resources, the field of biblical scholarship is already better-equipped than other fields of theology. However, much more is possible, and AnaBiDeut seeks to make a contribution to this promising new field. As part of its mission to make the world's books searchable and discoverable, Google has digitized over a thousand ancient Greek and Latin books. We present them here downloadable as zip files of images and plain text, and as links to Google Books web pages where you can read them online in full or download PDFs. This collection was selected by Prof. Greg Crane and Alison Babeu of Tufts University, and compiled by Will Brockman and Jon Orwant of Google. Enjoy! Abhandlungen der Königlich Preussischen Akademie der Wissenschaften aus dem Jahre ... by Königlich Preussische Akademie der Wissenschaften zu Berlin - 1907. Anistoriton is an electronic Journal of History, Archaeology and ArtHistory. It publishes scholarly papers since 1997 and it is freely available on the Internet. All papers and images since vol. 1 (1997) are available on line. The United States Library of Congress has selected Anistoriton site for inclusion in its historic collections of Internet materials (The Library of Congress Web Archiving).